The Kansas City Royals roster doesn’t currently have any certain future members of the National Baseball Hall of Fame. The departures of Lorenzo Cain and Eric Hosmer–and the pending departure of Mike Moustakas make the Kansas City Royals roster look a lot different this season! However, there have been seven Royals who have been recognized as the very best in MLB history. Royals’ representation in the Hall of Fame consists one obvious all-time great and a handful of others you may not realize played in Kauffman Stadium (previously Royals Stadium). 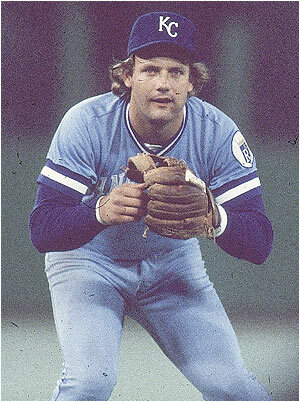 George Brett . Photo courtesy of waytofamous.com. The obvious Royals HOF representative is George Brett. Brett was a homegrown talent who spent his entire career helping the Royals score runs and was instrumental in making KC Royals standings a source of pride in three different decades. Brett anchored an often potent lineup. The Kansas City Royals roster of his era featured perennial all-stars like Amos Otis, Frank White, Hal McRae, Willie Wilson and others. With over 3,000 career hits, multiple Silver Slugger awards, consistent All-Star Game appearances and a 1985 World Series ring to his name, Brett is the most recognizable Royals Hall of Famer. Three of the seven Royals in the Hall of Fame never played a game for the team. They all served as managers for the ball club. Bob Lemon earned his spot in the Hall as a Cleveland Indians pitcher. Then, he managed the Royals to their first winning season in 1970. Lemon was the successor to Joe Gordon. Gordon, a premiere second baseman in the 1940s, managed the Kansas City Royals roster to 69 wins in 1969–the teams’ first season. Gordon, a nine-time All-Star and former MVP, joined the Hall of Fame in 2009. 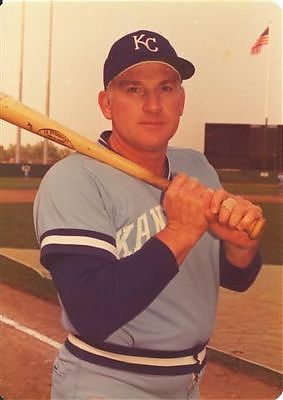 Finally, Whitey Herzog managed the Royals through some of their most successful seasons in the 1970s. “The White Rat” was a brilliant tactician and innovator, favoring a Kansas City Royals roster that valued speed, contact hitting and defense. Herzog, who joined the Hall in 2010, had another KC connection. He pitched for three seasons with the old Kansas City Athletics of the late 1950s. The other three Royals in the Hall of Fame joined the ball club late in their careers. While they’re usually not recognized as KC Royals, they all played for the boys in Blue. Harmon Killebrew as a Royal. Photo courtesy of 90feetofperfection. wordpress.com. Orlando Cepeda, who became well-known as a San Francisco Giant before moving on to St. Louis, Atlanta, Boston and three games in Oakland, then played in 33 games for the Royals in 1974. The last home run of his career was as a Royal. Then, the very next year, famed slugger Harmon Killebrew ended a storied career with the Senators and Twins as part of the Kansas City Royals roster. In 1975. Killebrew smacked the last 14 home runs of his Hall of Fame career playing for KC. In 1983, 44 year-old Gaylord Perry, finished his career as part of the Kansas City Royals roster. Perry logged four of his career 314 wins while wearing Royal blue. Then he, like Cepeda and Killebrew, retired. Who knows? You might see the next Royals’ Cooperstown inductee battling through this season’s Royals schedule. The Royals will feature a younger, rebuilding team. Although many of the players from the 2014 and 2015 World Series teams will be plying their trade elsewhere this season, opening the door for some new faces. One of them could become the next Royals all-time great. Among the returning players, Salvador Perez will continue his possible march to the Baseball Hall of Fame. The fan-favorite catcher is considered a strong defensive catcher and has been developing into a productive power hitter. 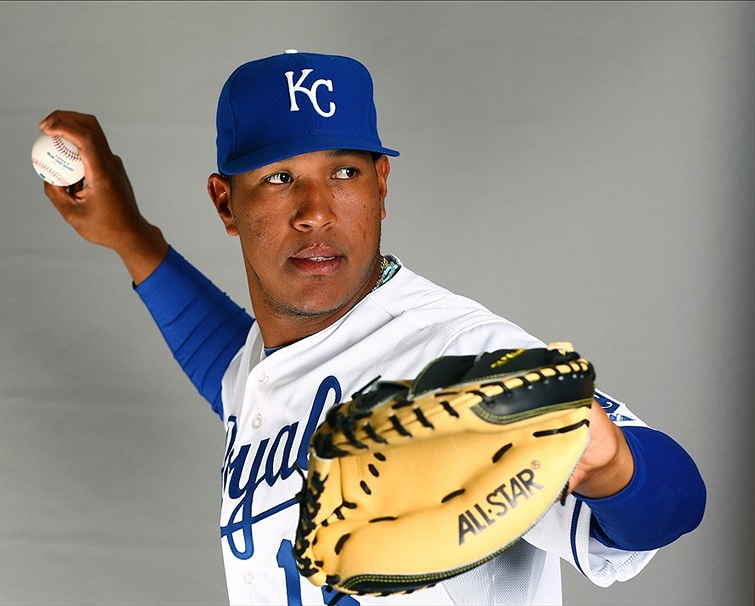 As of now, Perez has the best chance of anyone playing through the 2018 KC Royals schedule to earn a bust in the Hall of Fame. Tickets for Less can get you out to Kauffman Stadium to watch the entire Kansas City Royals roster make a bid for a successful 2018 season. If you’re looking for Royals tickets, look to Tickets for Less.